April 10, 2019 • CATEGORIES: Artists/Drawings, Features • TAGS: 6x6, Odd Body. 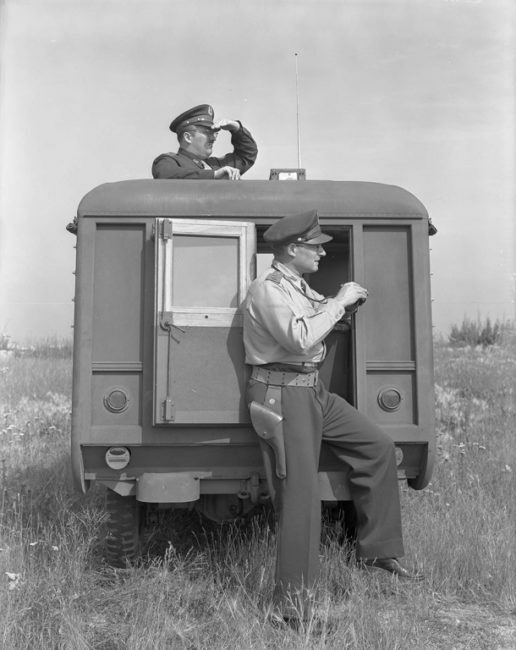 During WWII Brook Stevens developed a couple different Command Car concepts. All the pics of these can be seen at the Milwaukee Art Museum’s site. 1. 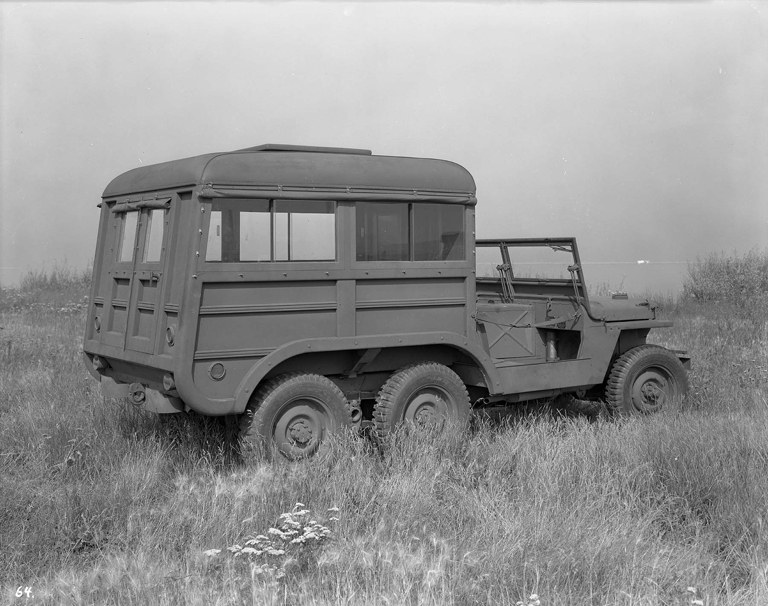 The first one is a 6×6 vehicle. It was made into an actual vehicle. I don’t know what happened to it. 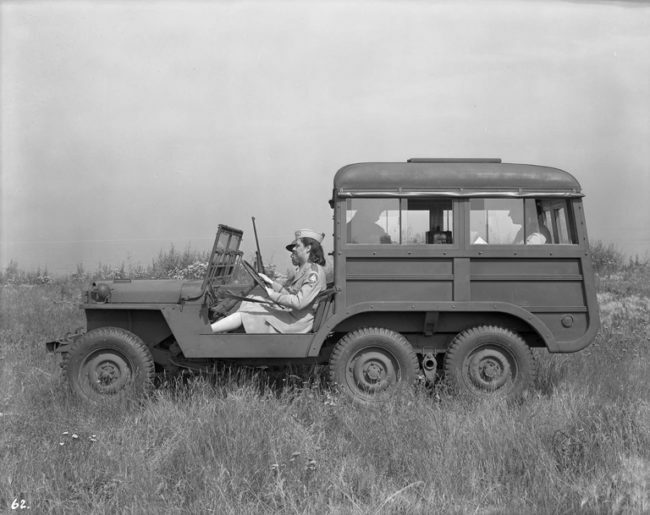 I’m pretty sure I have a press photo fo this vehicle somewhere, but I can’t seem to find it. This very well could be on the same platform as other 6x6s of the era. 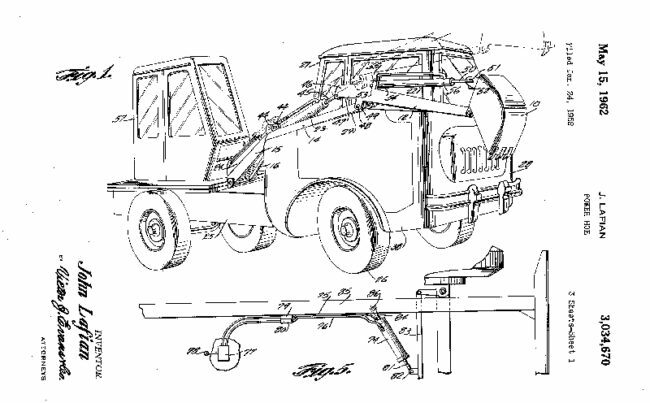 March 31, 2019 • CATEGORIES: Artists/Drawings, Features • TAGS: patents. A patent for a Mechanical Bola was patented on September 23, 1952, by B.D. 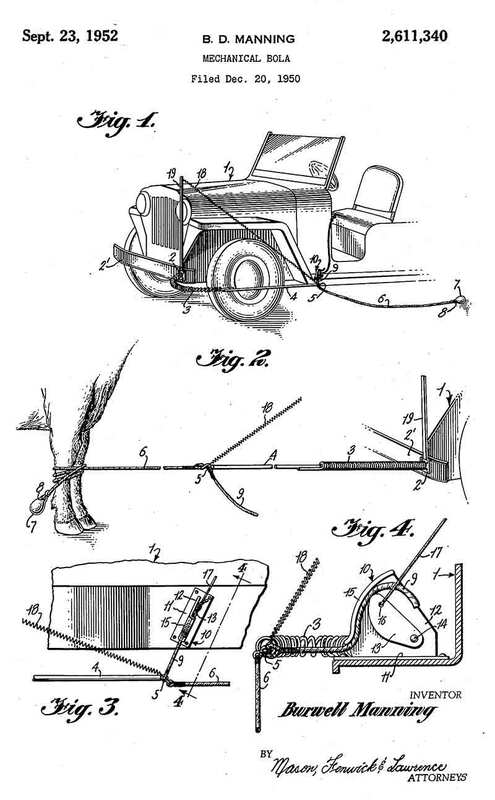 Manning with the purpose of helping a single person rope and manage cattle. The drawing reminds me of the early modified Texas hunting jeeps like this one. 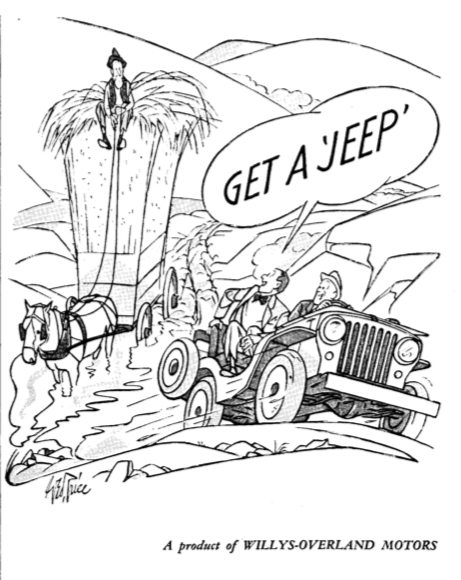 “A peculiar trait of such cattle is their curiosity with respect to motor vehicles. They soon become accustomed to jeeps, for example, and will come up to examine one, particularly if the motor is running. 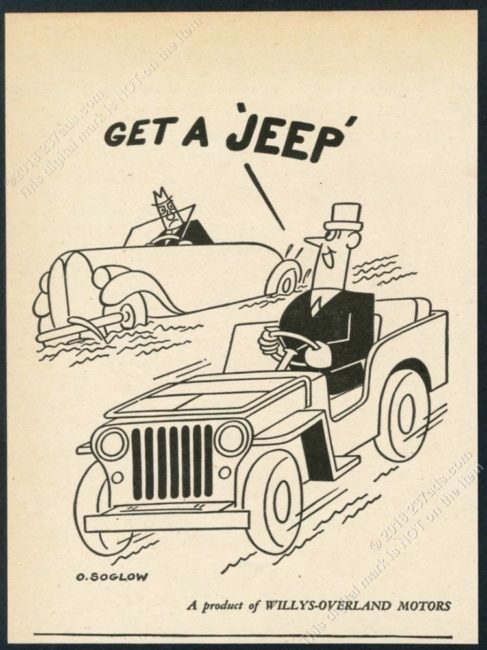 One can drive right up to a bunch of cattle in a jeep, without any of them taking the trouble to move, so long as the driverstays in the car. 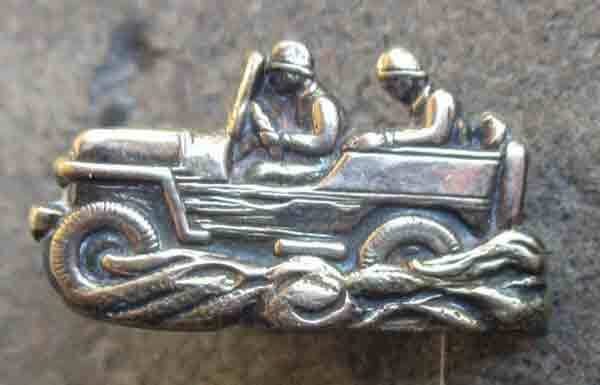 Anyone familiar with these pins? Asking price is $295. March 27, 2019 • CATEGORIES: Artists/Drawings, Features • TAGS: Music. 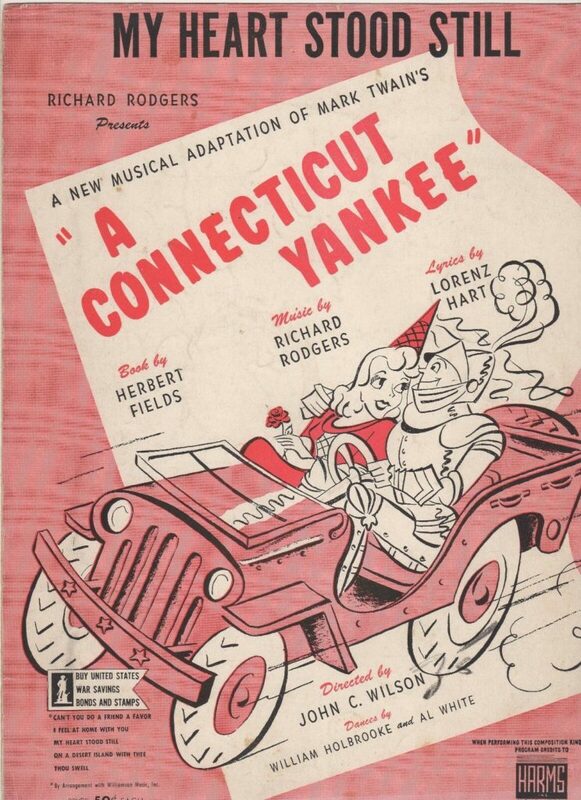 Carl found this one as well, a song from the Connecticut Yankee that has a jeep on it for some reason. UPDATE: Mario shared this article on Facebook. 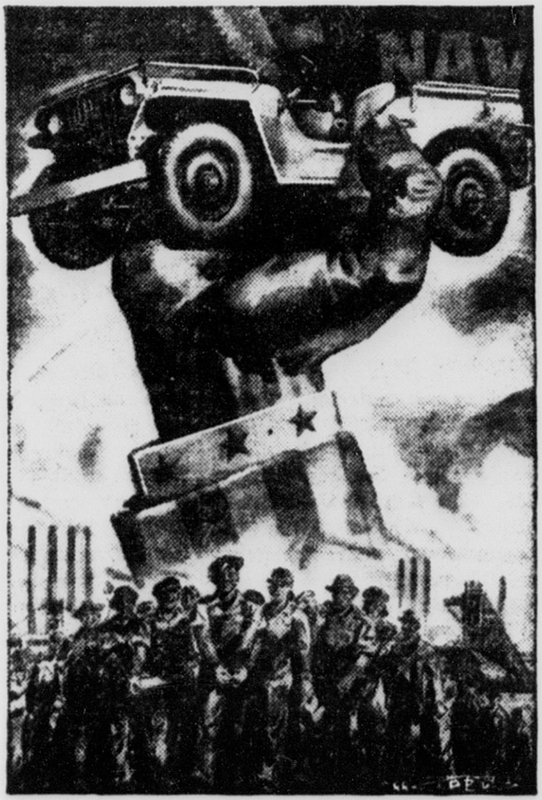 The fact it mentions the term “Zamechatelno” and it’s translation (“swell”) made us both wonder if the article was the root of the subsequent WWII ad by Willys of the same name (shown below). 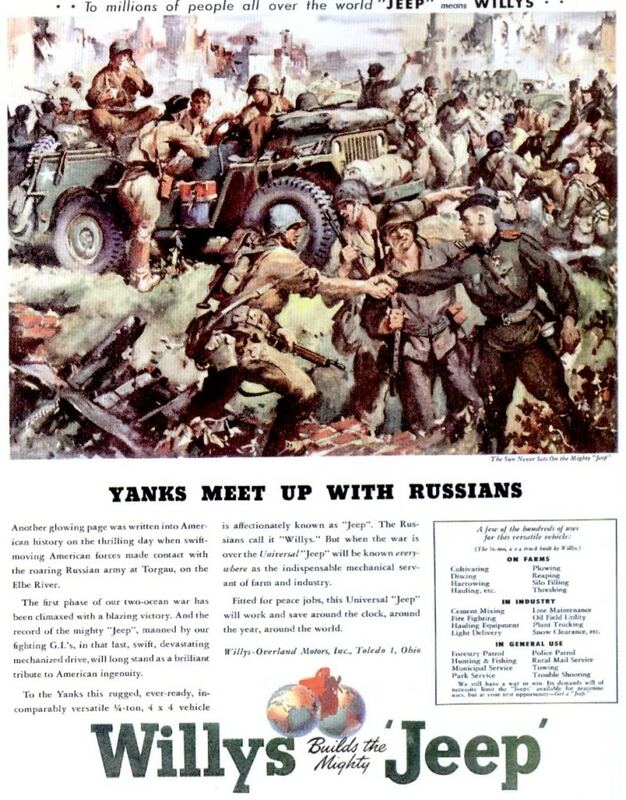 The Zamechatelno ad was published three months later in the October 10, 1942, issue of Collier’s Magazine (and subsequently in the November 14, 1942, issue of the Saturday Evening Post). 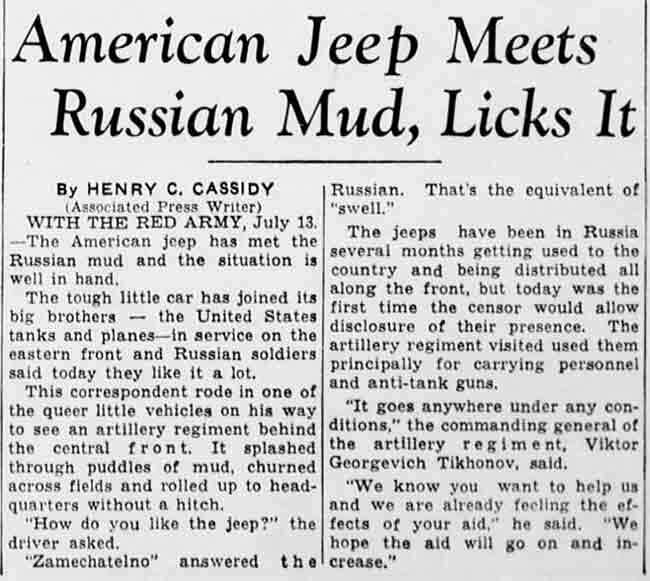 Given Willys-Overland had to commission the work, ready the ad, then submit it for publishing, this timeline certainly suggests the new article could have been the reason for the ad’s creation. 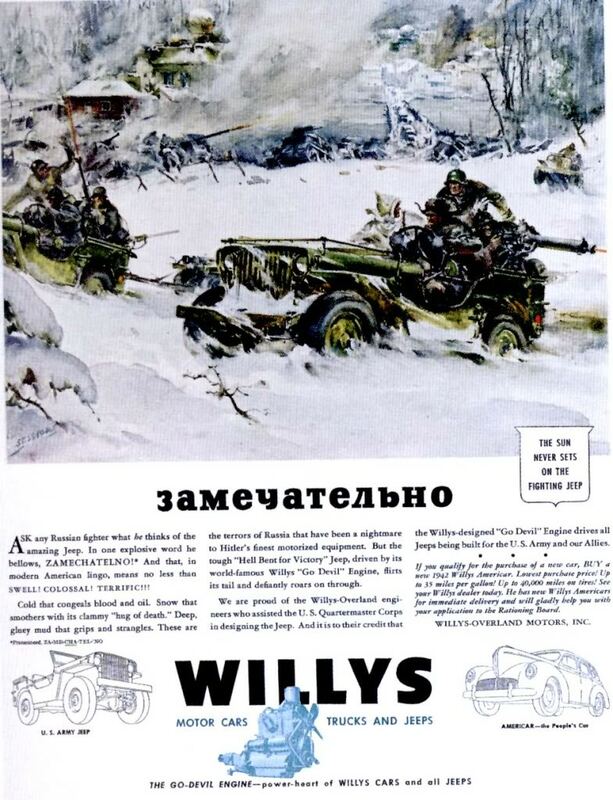 Original Post July 11, 2010: A couple ads from Willy’s-Overland’s WWII ad campaign related to Russians. 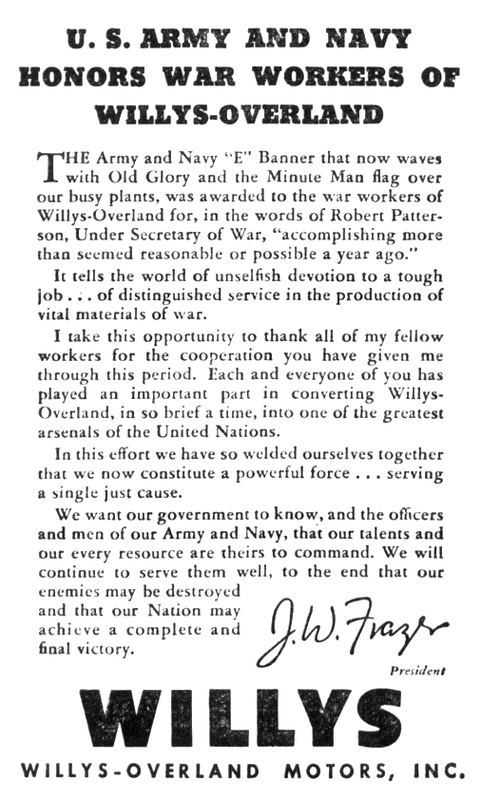 (You can see a list of all the Willys-Overland WWII ads published, with dates, in the Saturday Evening Post and Colliers). 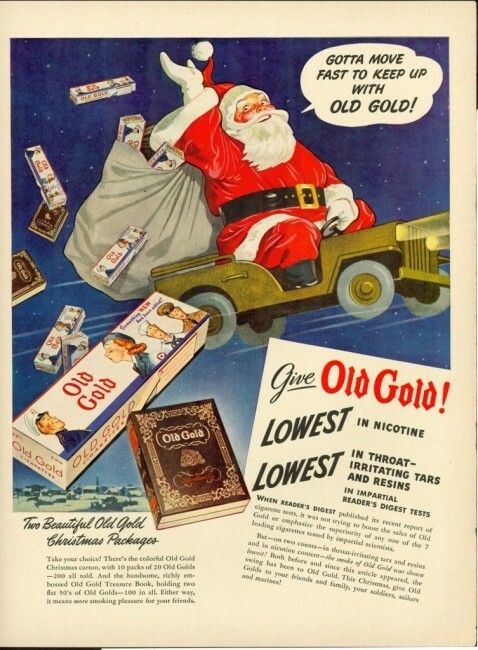 Here’s another Ad with a Russian theme. 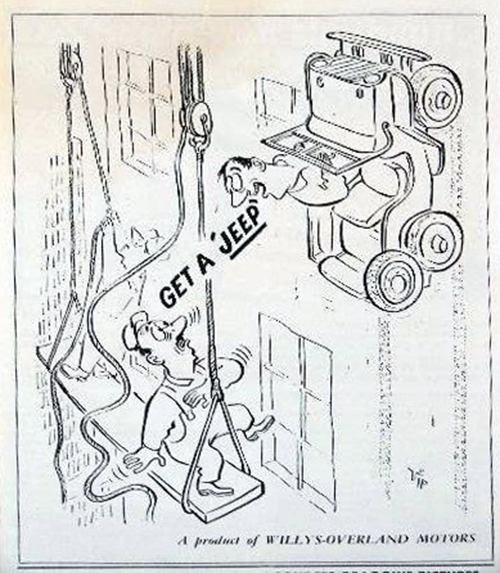 This one was published in the August 18, 1942, issue of the Saturday Evening Post. 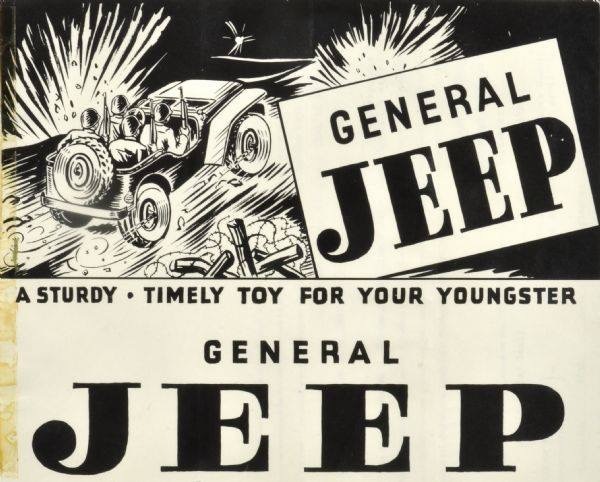 I did not find a similar ad in Collier’s Magazine. Roger shared this unusual artworks for sale. Sealed with two coats of sealer. 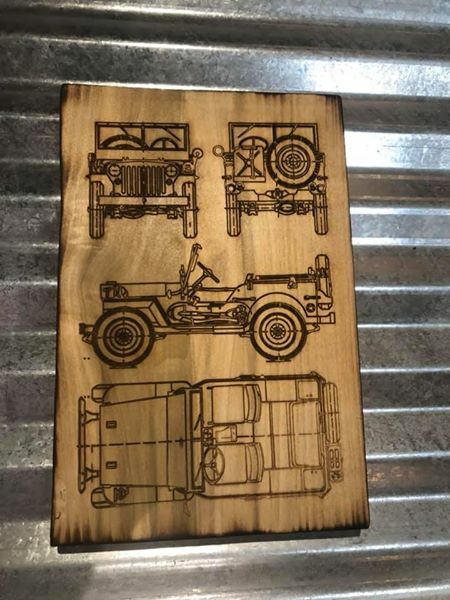 Approx dimensions are 9×12 . 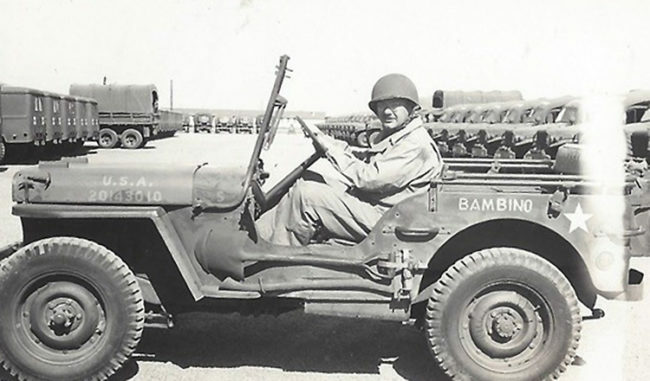 Gregg Stoerrie shared several stories and photos of his uncle’s time during WWII on his Facebook page. UPDATE: Price dropped to $602. February 27, 2019 • CATEGORIES: Artists/Drawings, Features • TAGS: patents. 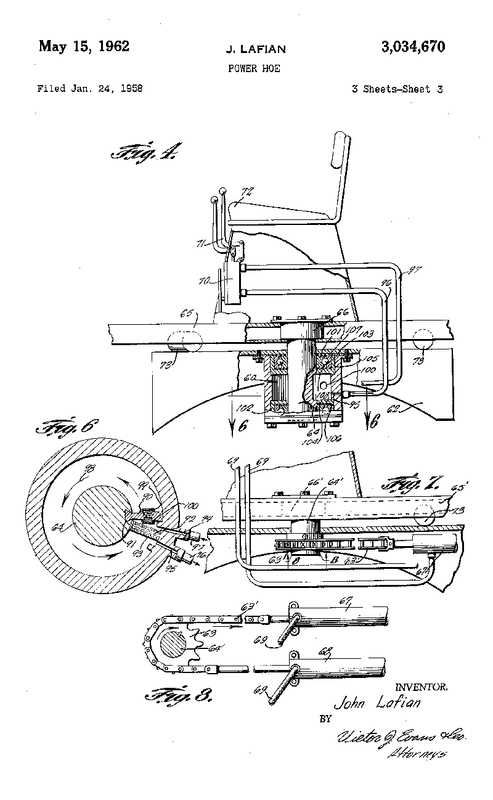 I had this post all completed, then went to add some background information when I discovered that Craig had already added the first page of the patent to his post about the FC-170 Power Hoe. 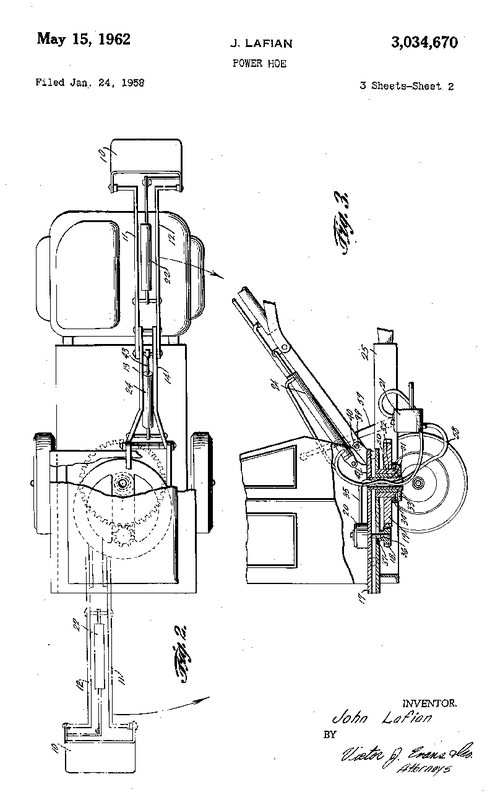 So, lots of heavy lifting in terms of content can be found here, while below you can view the whole patent. 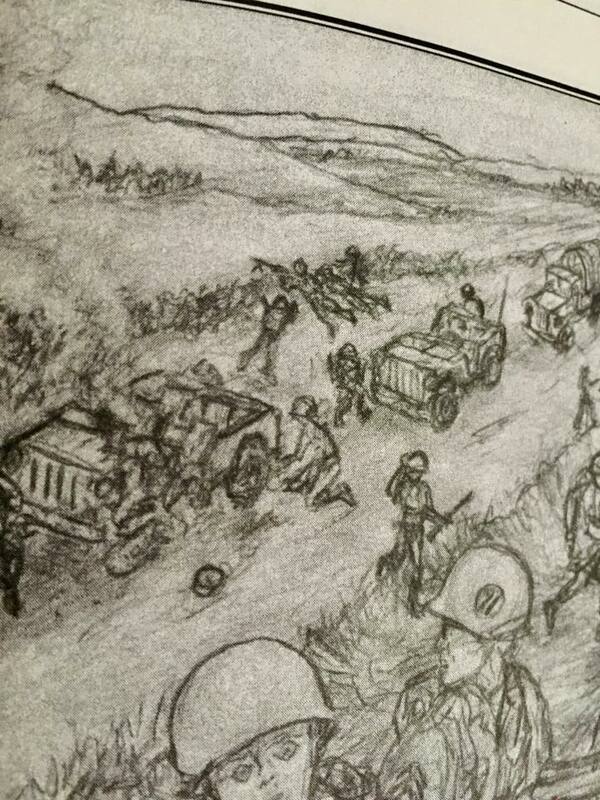 I think the illustrations are pretty neat. 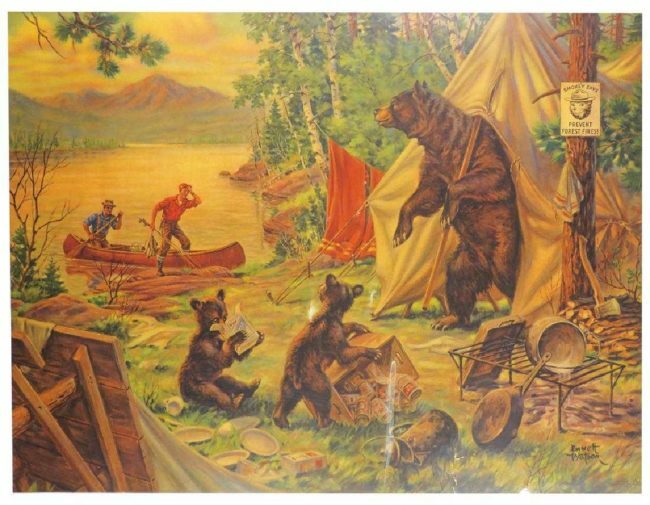 Not one, but two 54″ x 96″ tablecloths. Up for sale in this auction are TWO vintage paper tablecloths featuring Smokey the Bear. 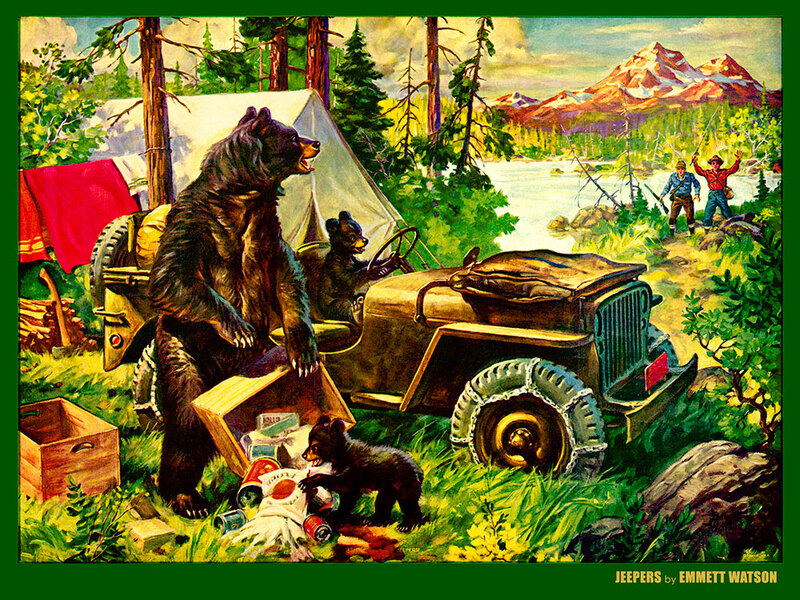 A hard to find item that will make a great addition to any Smokey the Bear collection….also great to use if you like. Definitely never opened or removed from the package. 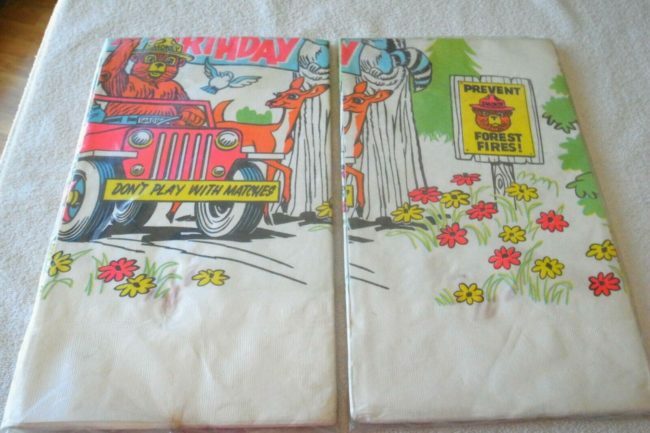 I believe that both tablecloths are the same design…..they just look different due to the way they are folded within the plastic wrap. 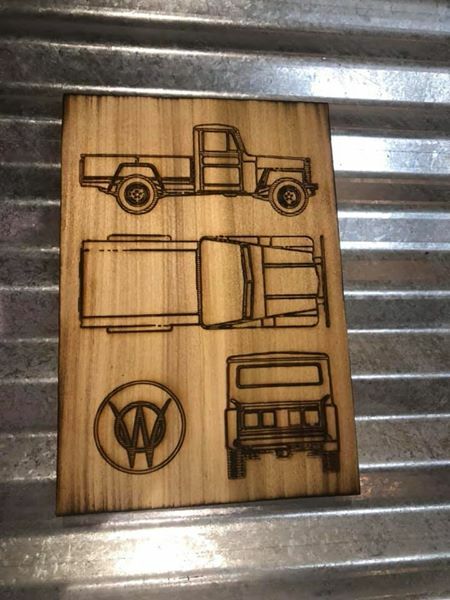 Made by the C.A. 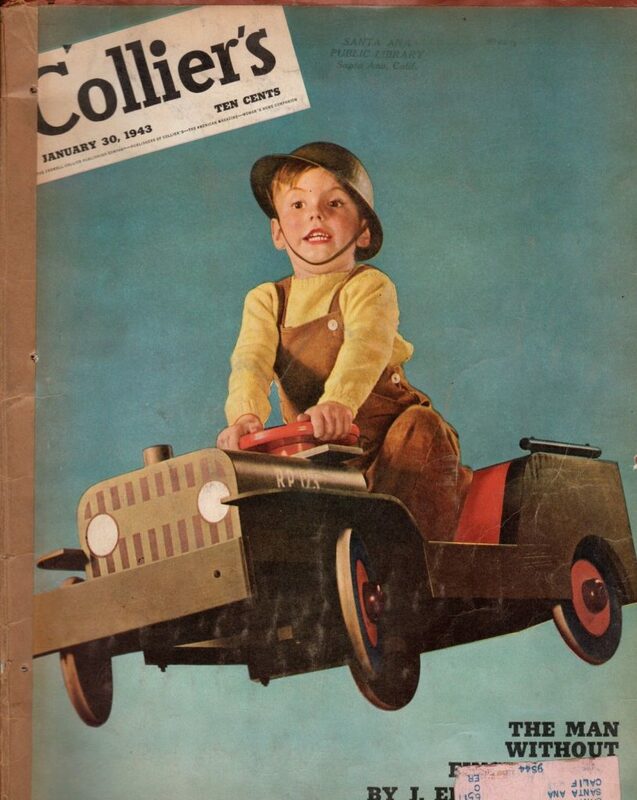 Reed Company….featuring “Futura Stylized Designs”. Only one tablecloth has the label on the back. The tablecloths measure 54 x 96 inches in size. 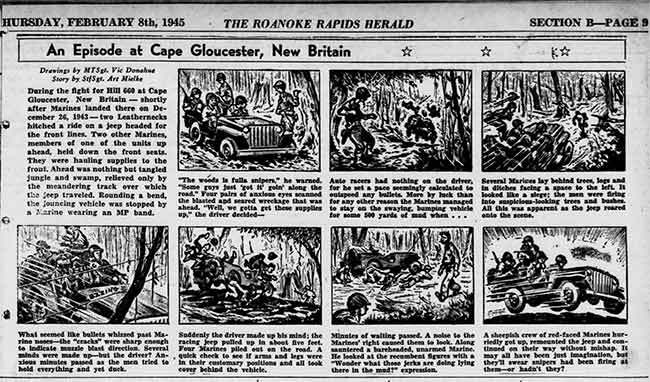 This February 08, 1945, cartoon published in the Roanoke Rapids Herald shares the tale of four GIs in Cape Glousester, New Britain. 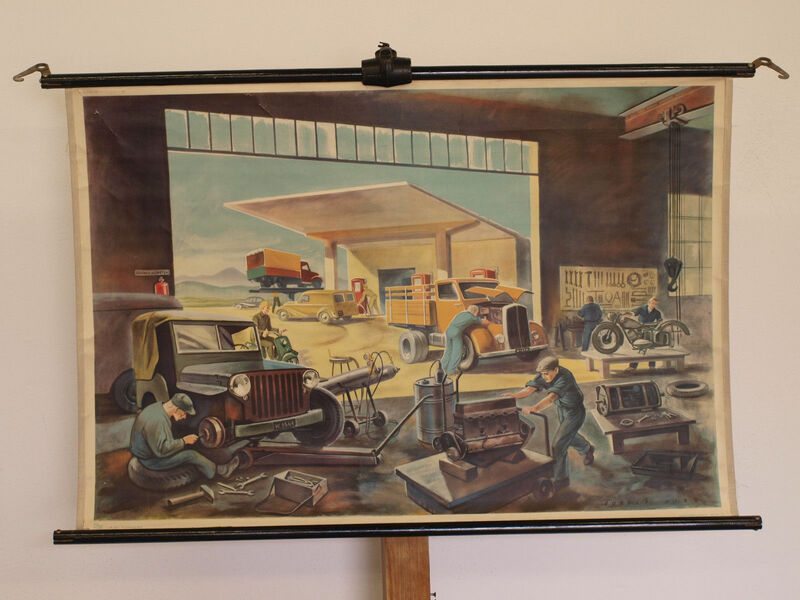 UPDATE: Someone pointed me in the direction of this Walter Baumhofer CJ-3B calendar image (I can’t remember who, but please take credit in the comments). There’ s no name associated with this one. At 16″ x 12″, it’s a little smaller than Emmett Watson’s “Jeepers” print. 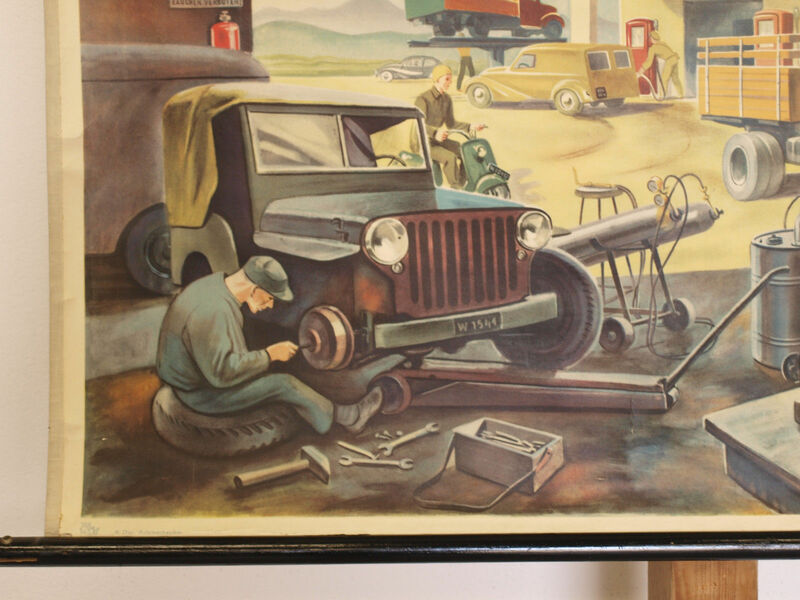 You can see more of Walter’s work over at the CJ-3B page. Original Post (11/19/2018): Robin recently purchased this Walter M. Baumhofer illustration at an auction. 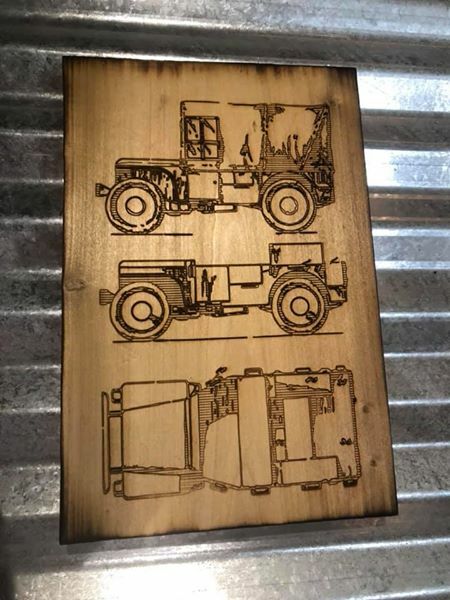 It’s titled “Self Appreciation”. 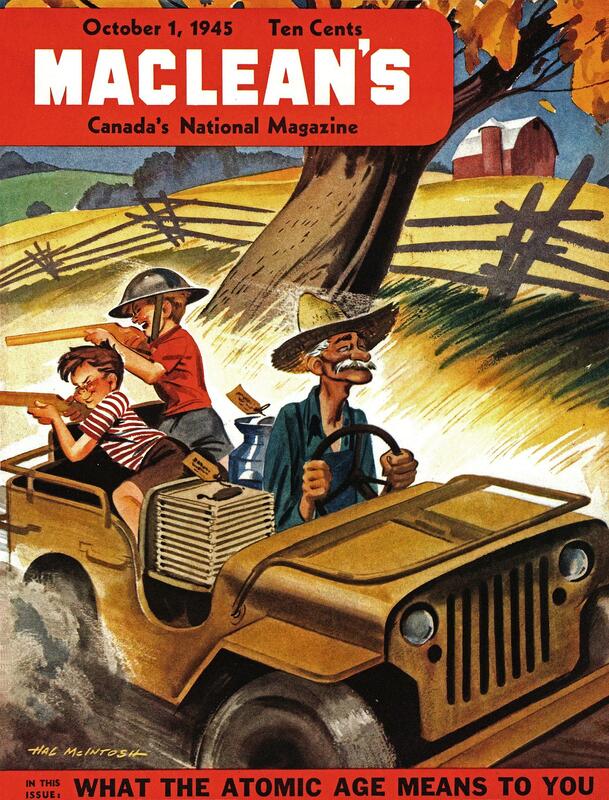 According to intelligentcollector.com, Walter was one of the most prolific Adventure Pulp artists out there. Among other prolific pulp adventure artists mention in the article is Emmett Watson. 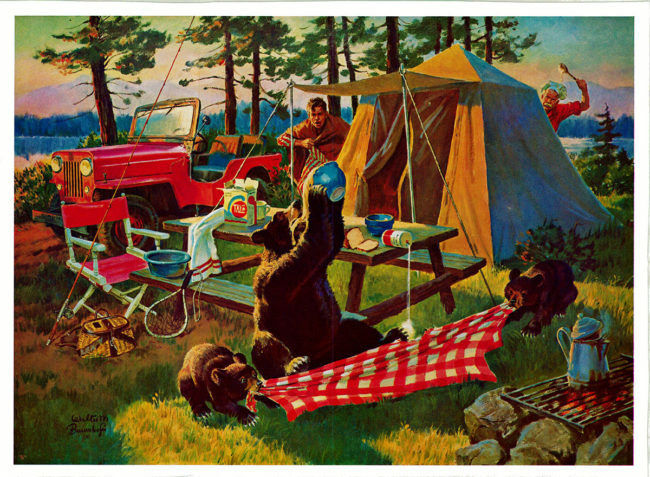 Funny how both Emmett’s illustration Jeepers and Walter’s image has two men, a jeep, a tent, a red blanket, and three bears. I find that a big coincidence. 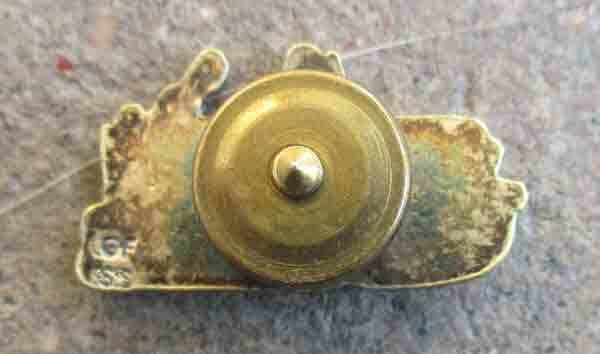 For us it will be a quiet one, as we have relatives scattered all over. But, we are thankful that everyone’s made it through this month, lol! 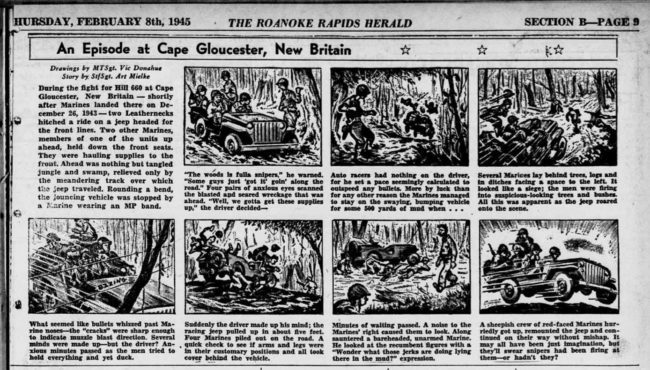 If you’d like a nice story to read this Thanksgiving, you can try an article about Durwood J. Smith. The story contains both a jeep and a Thanksgiving memory on the Western Front (see Durwood’s pic below) … do you know how hard that combo is to find?? 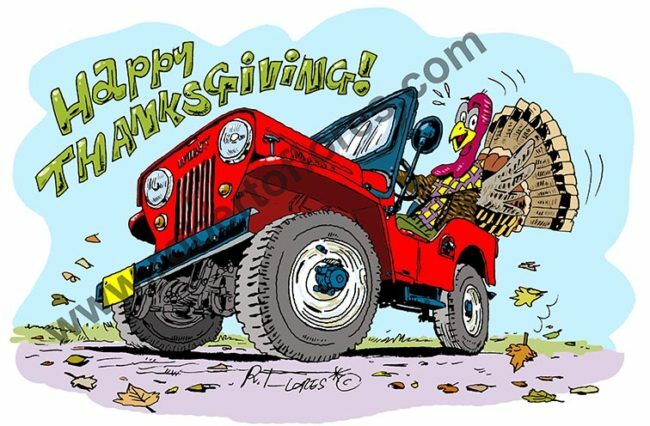 If not for Roberto Flores, we wouldn’t even have art depicting jeeps and turkeys together!! Mario Maipid posted this illustration to one of Facebook’s groups. 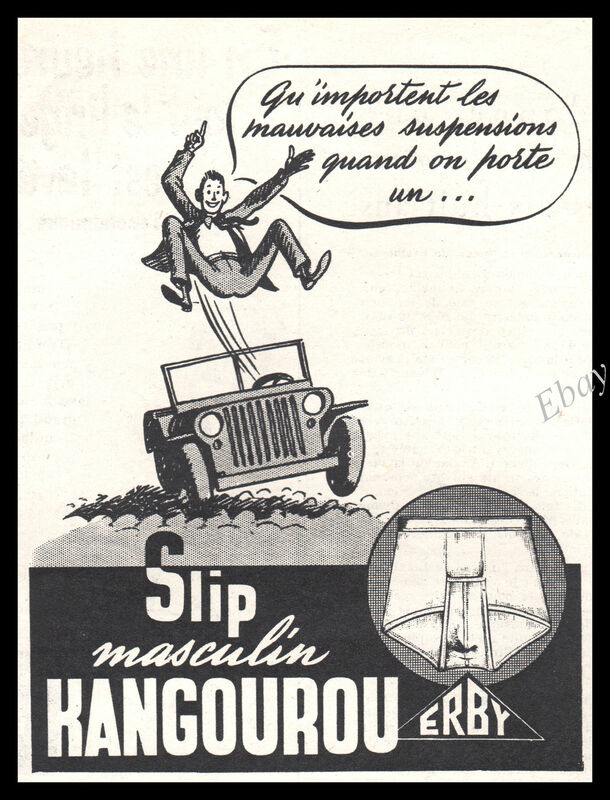 It was used as part of a patent or trademark filing in the State of Wisconsin. 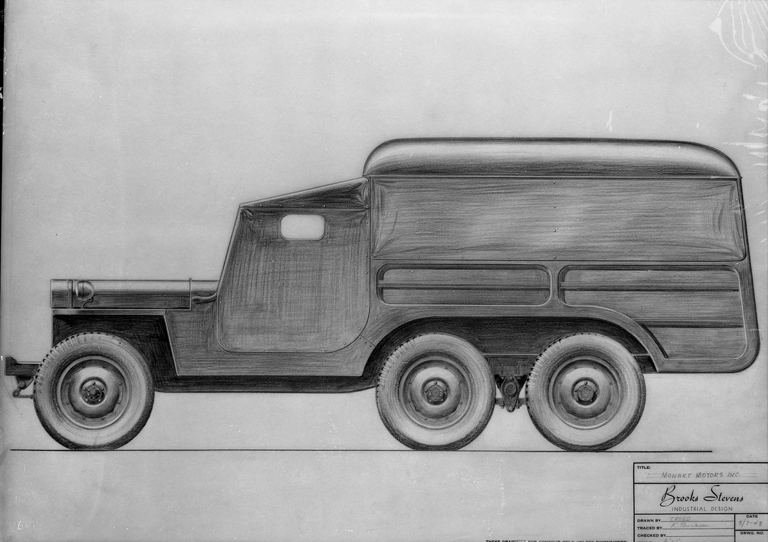 This curious set of drawings is about the size of a standard piece of paper. 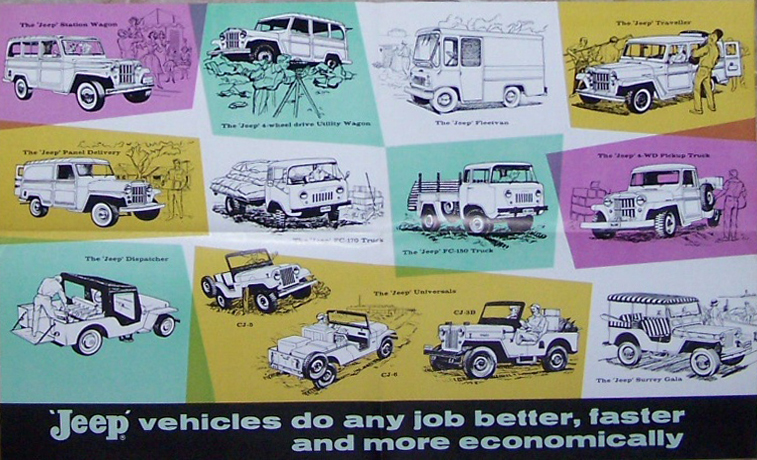 It depicts Ford GP (upper left), an MB/GPW (lower left), a Ford GP “Super 6” (middle right), and a Bantam BRC 60 (lower right). 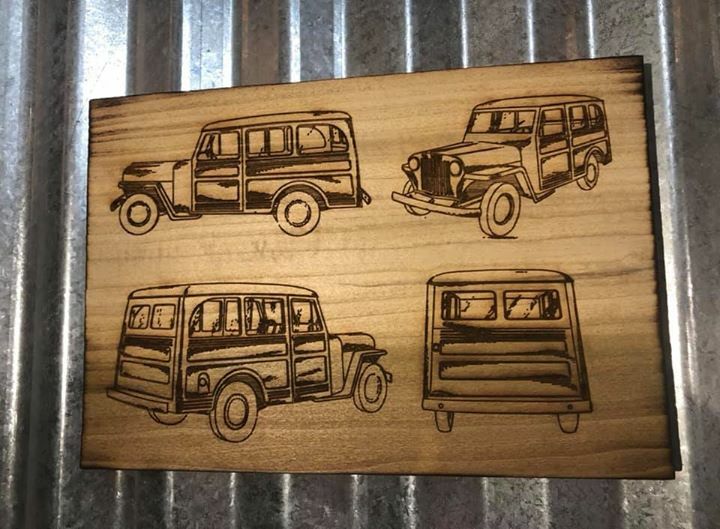 It’s kind of pricey (imho), given at least three of the four are redrawn photos. 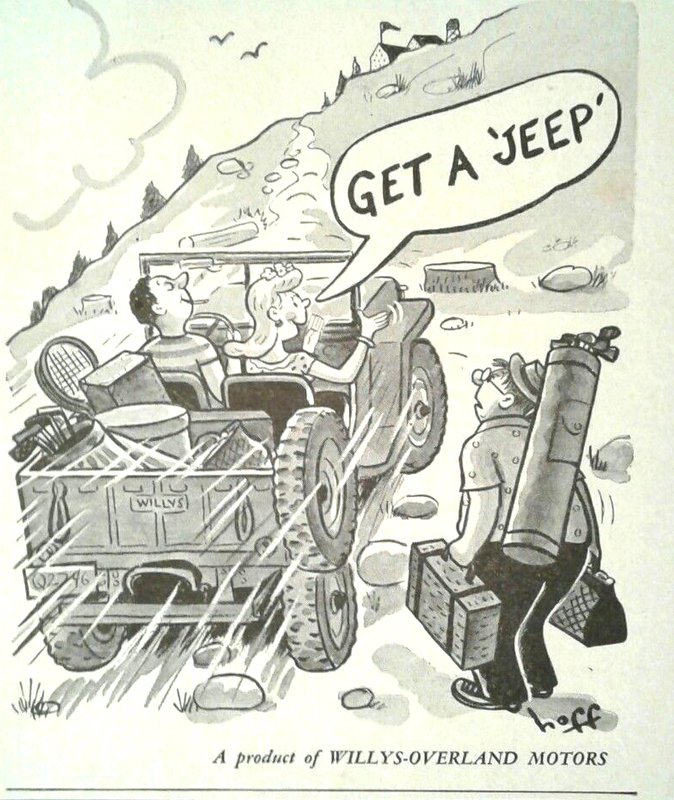 UPDATE: I scanned the this image “JEEPERS” by Emmett Watson and cleaned up the lines and scratches as best I could. 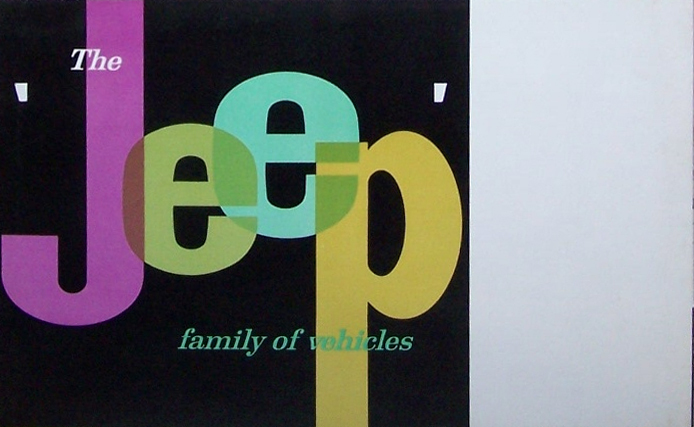 The final size is 18″x24″, which should make it easy to put in a frame. It was part of a calendar, but I can find no information or the images from the calendar. Some folks have asked for prints of this illustration, as it is difficult to find. I do not yet have a price on that, but I don’t plan on printing many (15-30 depending on requests), so I suspect the price will be around $25/each to cover my costs and shipping, but I haven’t finalized that. 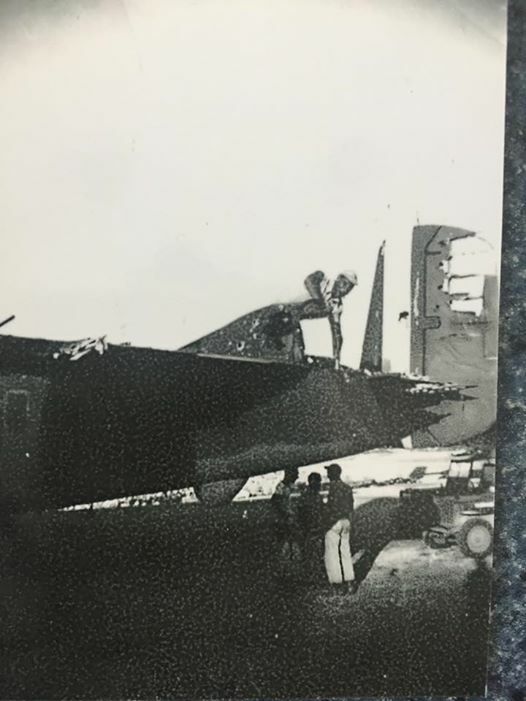 After searching, I cannot find anyone who owns the copyright to this image (TDM appears dead). So, I feel comfortable getting some of these printed. 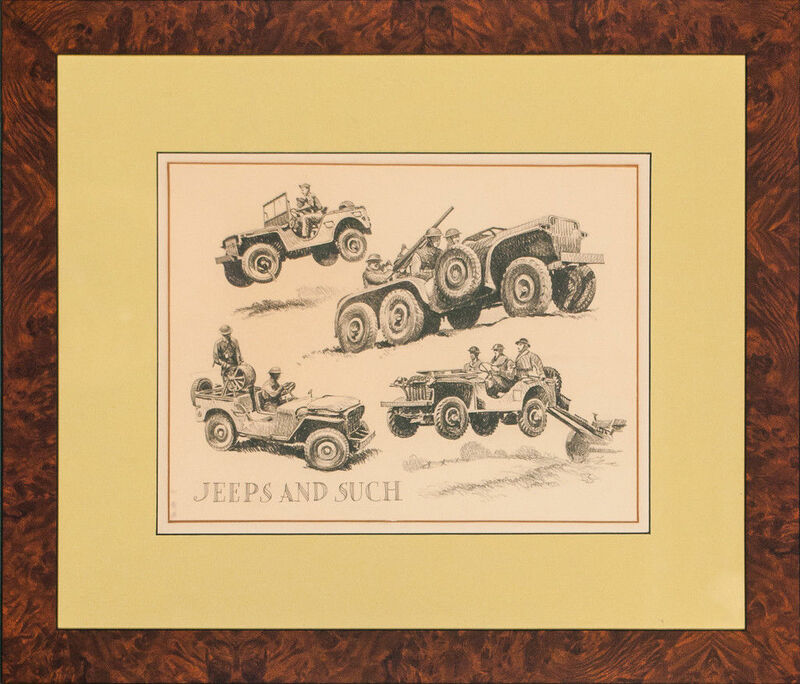 In 2014, a lithograph of JEEPERS, possibly an image from another calendar, sold with a frame at auction for $75.00. 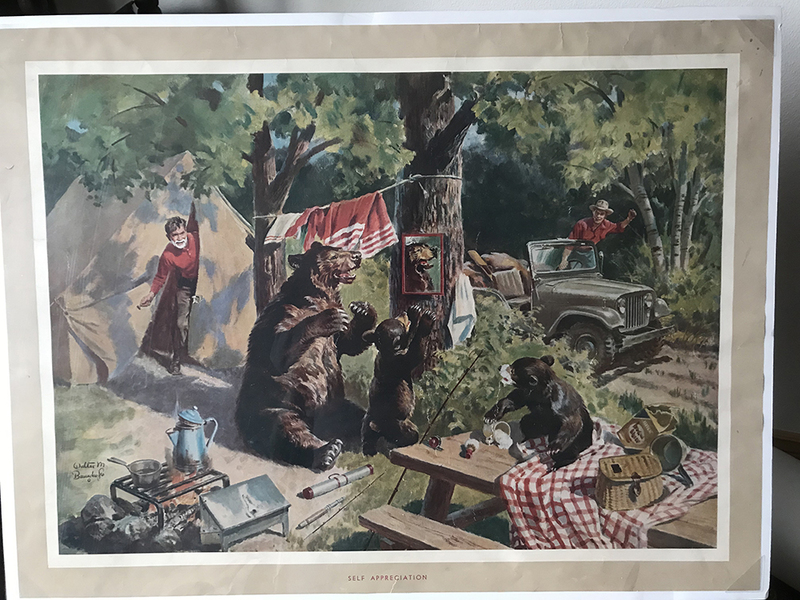 Here’s another illustration that might have been a companion piece, given there are bears, a camp site, and two men, one with a red shirt and one with a blue shirt, and the same red blanket. It’s titled Smokey the Bear and it went up for auction last year. September 26, 2018 • CATEGORIES: Artists/Drawings, Features • TAGS: Roberto-Flores. 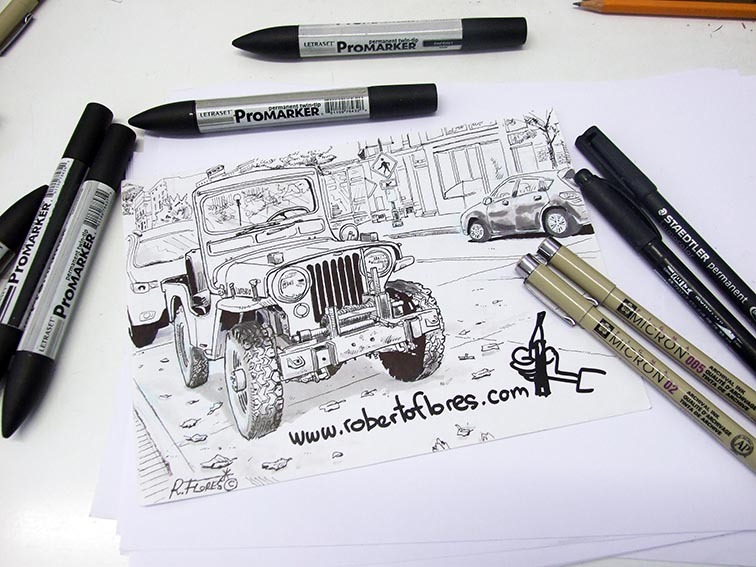 Roberto Flores shared this new ‘doodle’ of a CJ-3A. September 7, 2018 • CATEGORIES: Artists/Drawings, Features • TAGS: Roberto-Flores. 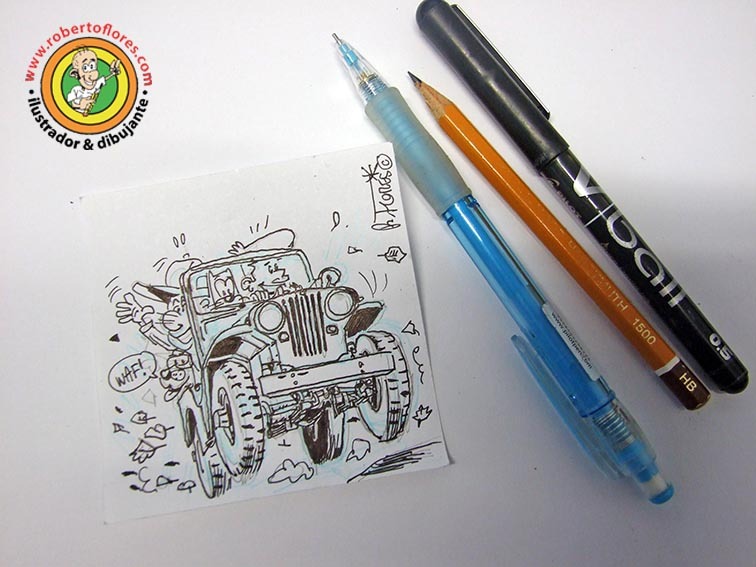 For a second day in a row, Roberto shared an illustration. 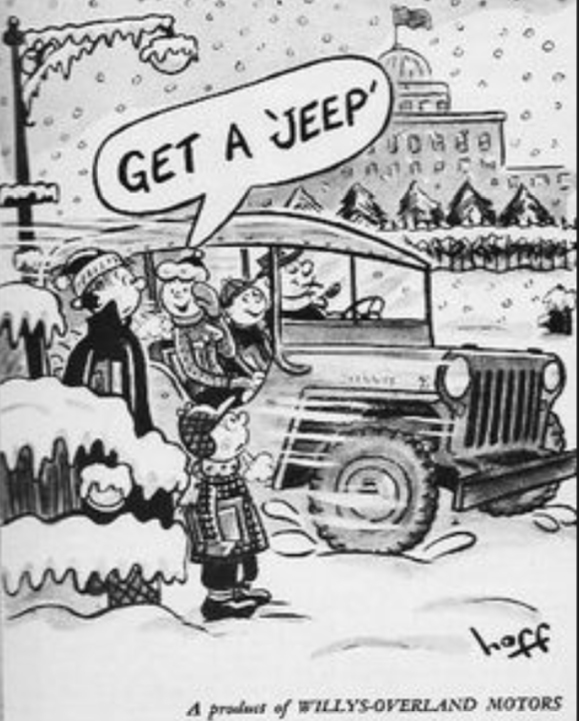 This one is based on a pic David Wilson of Wisconsin shared on Facebook.